The Bluetooth Scanner for Mobile can be synced with a tablet in order to make scanning via the mobile app even easier. The following instructions will help you setup/sync the scanner to your device and change default settings. Do iPads/tablets need to be licensed? How many tablets can I use for check-in? Does the KidCheck app work on an iPhone/Android? Yes! Using Express Check-In, parents can create a check-in using their phones at organizations that have Express Check-in enabled. 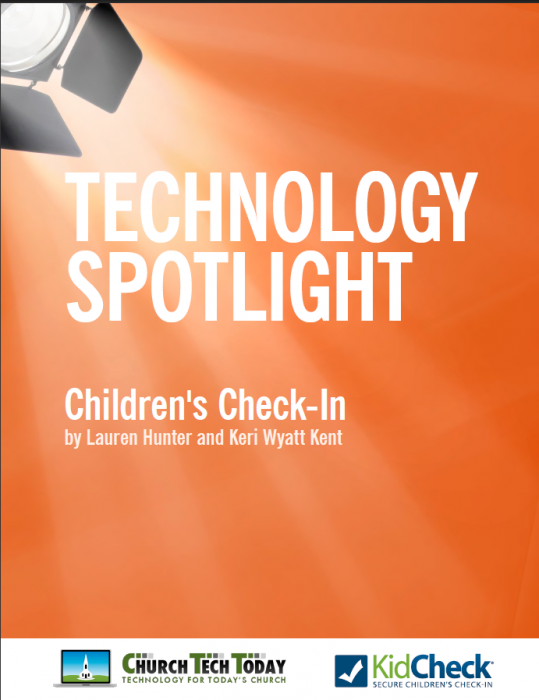 Additionally, organizations can use an iPad, iPhone, Android phones and Android tablets to run mobile check-in via the KidCheck app. Can parents use their own iPhone/Android phones or tablet to check their children in? Yes! Parents can use their own iOS/Android device to check their children in using the KidCheck app with Express Check-in . To see that a video of that process, click here. How does mobile printing work? Mobile check-in uses Dymo LabelWriter printers for printing check-in badges. When you start check-in on an iPad/tablet, you’ll see a list of available Dymo LabelWriter printers and can choose the one you’d like each tablet to print to. What tablets are compatible with KidCheck’s mobile check-in? To see tablet requirements and recommendations, please visit the Mobile Check-In section of our system requirements.